The District’s camp site, Park Farm, has a long and interesting history. A booklet called World War II: The Banstead Wood Camp by John Sweetman of the Banstead History Research Group gives full details and is very much worth reading. The large house that went with the Banstead Woods Estate was owned by the Garton family from 1893 until 1934. It had been purchased by the County Council and was intended to be the site of a Children’s Hospital. As a part of the sale, the Long Barn and the flint walled round barns became the property of the Council. The 2nd World War saw the estate being requisitioned by the War Department. The mansion became a military hospital and the fields behind the Long Barn had anti-invasions works in it. The site became a camp during the war. The Canadians were based there from 1940 and extra buildings were added. By 1941, the Canadians had gone and the site was used to house captured Italian prisoners of War until 1946 when all the remaining Italians had been relocated to Kew for repatriation. The camp was then put to use for 150 German Prisoners of War who, as time went by, mingled freely with the local population. By the end of 1947, the Germans had been returned to Germany and Banstead Woods was once again open to the public. The mansion finally became the Children’s Hospital it was intended to be before eventually, many years later, being sold for Houses. 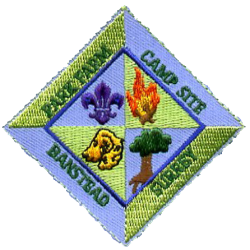 Park Farm and the campsite were bought by the Local council and a section of it was leased to the Boy Scouts Association, latterly Banstead District. 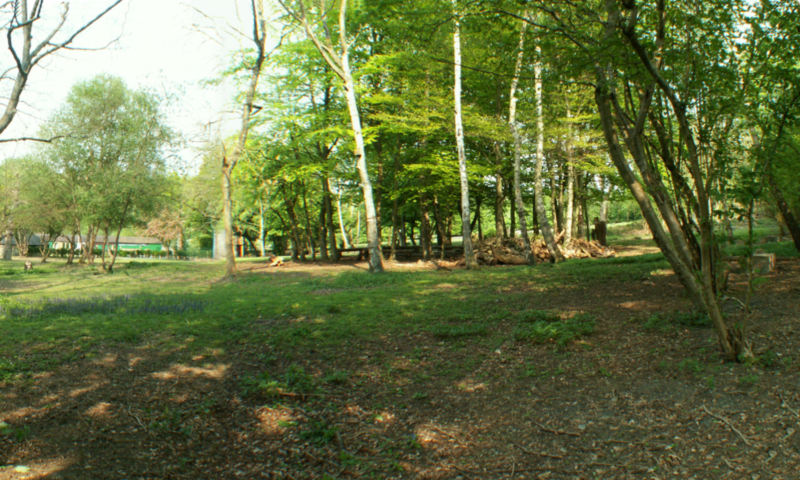 Park Farm was officially opened as a Scout Camp Site on 10th July 1954.